Technology has provided us with a number of ways to stay on top of what’s happening in our lives. This, of course, includes our finances. There are a number of online financial management applications that can provide you with the means to track your spending, monitor your investments, and work toward reaching your goals. Naturally, Mint has to appear on any list that involves financial management. Mint is a free application that helps you automatically track your spending, as well as create budgets. It’s possible to set up budgets and designate goals, and learn to understand your financial behavior. Mint.com is considered one of the premier budgeting tools. Receive updates, and look for deals with help from Mint, as well as information about your finances. Analyze your expenses, and get access to all of your accounts with the help of moneyStrands. moneyStrands comes with the ability to see your entire financial situation, laid out in real time. Set spending and saving goals, and keep up with your progress. moneyStrands features great, detailed charts, and a number of features that make it easy to use, whether you use it on your smart phone, or whether you use it on your desktop. moneyStrands is one of the free options in financial management. If you are interested in something a little more in-depth, and that includes investing, FutureAdvisor can help. FutureAdvisor works with many of the top investment brokers, pulling up your investment information, and helping you figure out how to maximize your portfolio. After answering a few questions about your future goals, FutureAdvisor helps you put together a tailored portfolio. You can bring in information from your brokerages to see where you stand, as well as where the gaps lie. Use FutureAdvisor to help you figure out where your money should go to help you reach your goals while minimizing investment fees. There is a free version that provides you with recommendations and analysis. Coming soon, FutureAdvisor expects to charge a fee if you want automatic portfolio rebalancing and cleanup. For a totally complete financial management experience, you might consider Personal Capital. This is an entire wealth management application. It includes account balances, transactions, and even investment performance. You can analyze your total financial situation, as well as figure out where you are headed. On top of that, Personal Capital offers personalized advice about what you should do with your money, including where it should go. You can even get help implementing your investment strategy.From a financial dashboard and universal checkbook, to a savings concierge and your investment portfolio, Personal Capital strives to be a complete financial management tool. Initially, the tool is free, but the more services you add, and if you connect with an adviser, you will have to start paying. If you choose to try out Personal Capital, be aware that they will call you to see if you want an adviser. If you are interested in having someone manage your investments for you, Betterment is an interesting choice. This is an application that helps you manage your investment portfolio. You can start with as little as $250 minimum (to be eligibile for a $25 sign up bonus) and Betterment will help you build an investor profile and then manage your investments based on that profile. You pay a fee similar to a mutual fund expense ration on a quarterly basis, and they take care of your portfolio. The service reminds me a great deal of WealthFront, another financial management service that offers to help you manage your portfolio. You can use these services to keep your portfolio balanced and diversified. For those who are trying to get out of debt, SavvyMoney can be a good financial management application for you. With SavvyMoney, you enter your debt, and then set a payment plan. Your SmartPay plan allows you to apply your payments in the most intelligent way possible. There is also an acceleration element, showing how you can pay off your debt even faster. You can track your progress with regular reports that help you see how quickly you are paying down debt. SavvyMoney is a great tool for those whose goal it is to pay down debt as quickly as possible, and manage their money in a way that prevents them from being buried by interest charges. 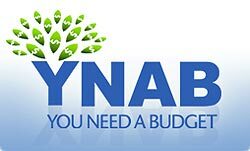 You Need A Budget, or YNAB, is a high quality budgeting software that guides you through the budgeting process. The software is based on YNAB Methodology with four rules: (1) Give every dollar a job, (2) Save for a rainy day, (3) Roll with the punches, and (4) Live on last month’s income. The current version of YNAB is YNAB 4 ($60), and you try the software free for 34 days. What’s your favorite financial management application? Please share your experience below. I’m a big fan of Mint, have heard of YNAB, but the others are new to me. You missed You Need A Budget, otherwise known as YNAB. Fabulous methodology, real results. We added YNAB per your suggestion. Thank you. Never heard of SavvyMoney sounds like a great concept especially for those who are trying to manage their debt difficulties and climb back into positive credit. I use mint.com and LOVE it! I always know how much money is in my account and I can see what categories I’m spending too much in. I’ll have to check out some of these other ones! its always a bit interesting to see articles like these years after Mint was released. at the time, there was lots of negative connotation towards handing off your online login credentials to a third-party site. now here we are, 4-5 years later and bam, lots of sites asking for your credentials and people are more comfortable with it. Great article. Using online budgeting tools is very advantageous! There are some tools that weren’t mentioned here that are fun and rewarding. Powerwallet.com not offers money management but incentive offers including coupons, discounts and debit cards. SaveUp.com is another favorite of mine. As you use the site you get credits which can be redeemable through lottery giveaways including cash and shopping sprees. Though I use sites like Mint.com and Manilla.com, I value sites that offer rewards because using incentives is the best way to keep up with goals. I think Moneystrand is dead. Their account aggregation section is nonexistent, check it out. @Drew, if you are looking for an online money management tool that is more flexible and internationally oriented, then I would suggest giving https://www.inexfinance.com/ a try. They support worldwide currencies and offer broader flexibility in terms of account customization. This is a good list. I am already using Mint for more than a year now and though I am fairly satisfied with it, I do not see anything wrong with trying out other applications. I will look into the other applications you mentioned. Thanks for sharing!